Remember my post on Biozone Food Purifier HERE? If you want to know what is Biozone Food Purifier and how does it works, please feel free to read the ENTRY ok.. 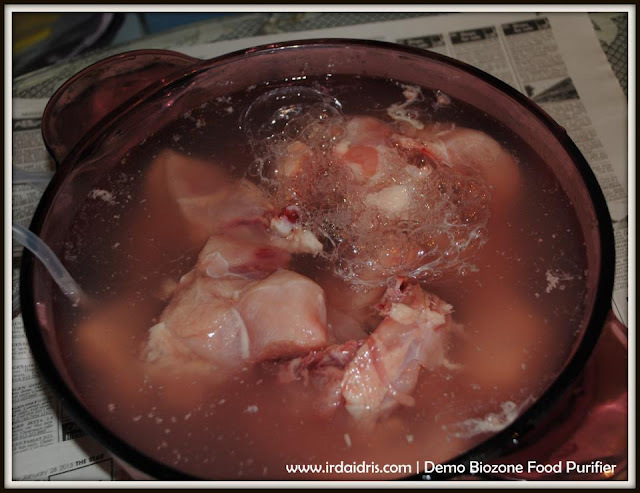 So today I would like share with all my readers a demonstration on how to purify your chickens..
How to purify? 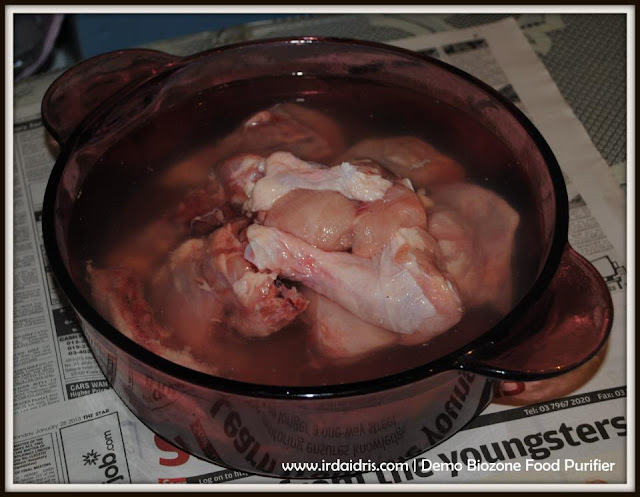 First put in your chicken in a glass bowl. Put in water. Make sure it covers all the chickens. Put in the ceramic stone into the bowl and switch on the machine. 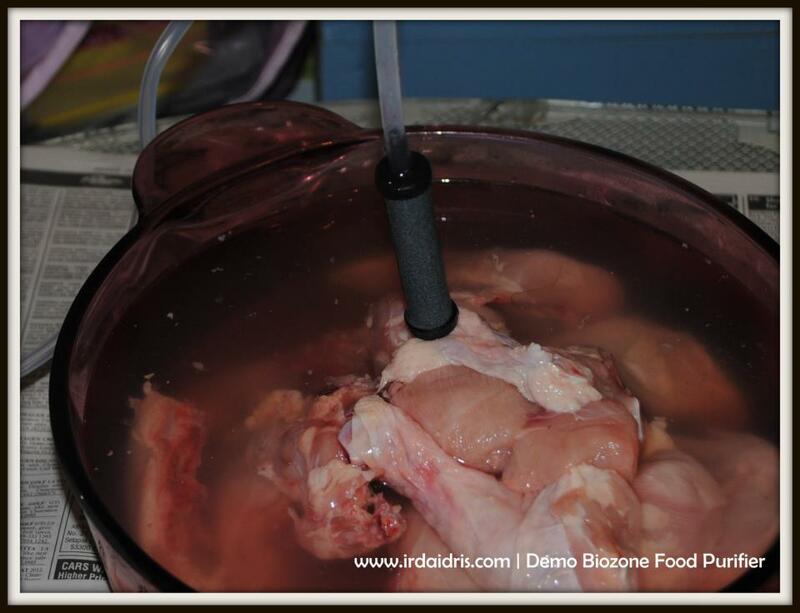 You will need 30 minutes to purify chicken/meats. You can start to see 'bubble' forming after 1 minute. After 30 minutes, you can see more 'bubble' like substance forming on top of the water. 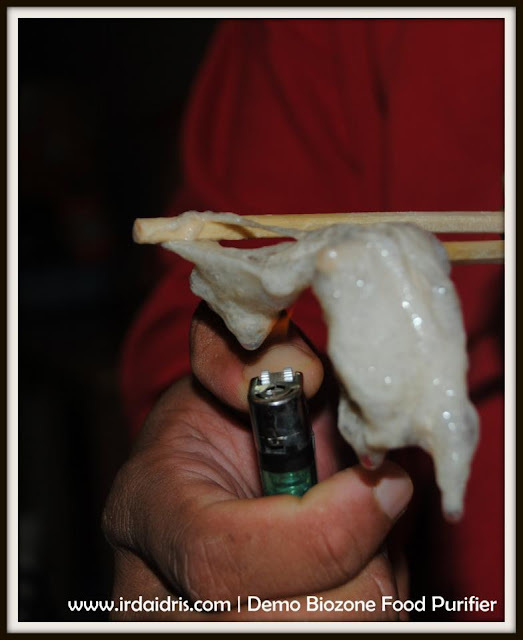 That is the fatty acids, antibiotics, toxins and other chemical residue from the chickens. 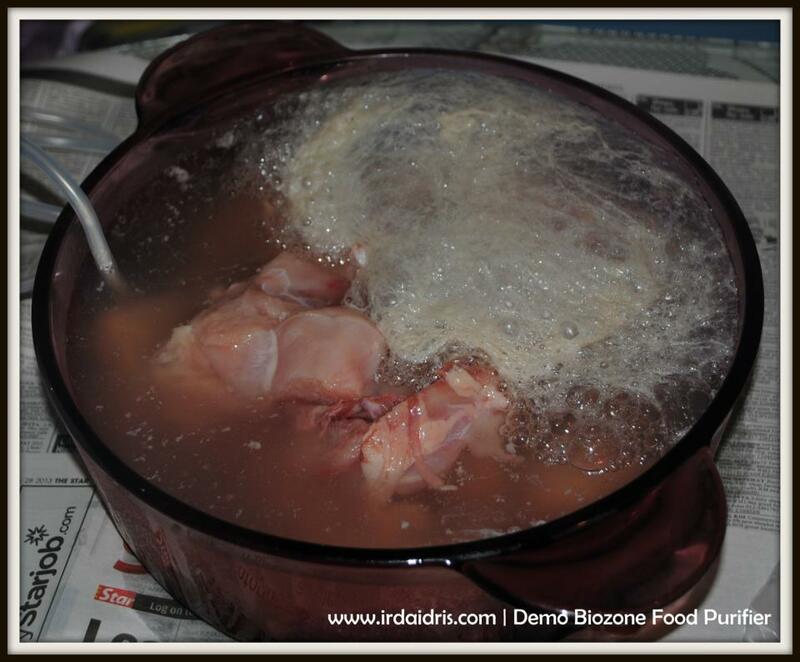 The 'jellyish' and 'buttery' like substance.. You can smell like something 'rotten'.. 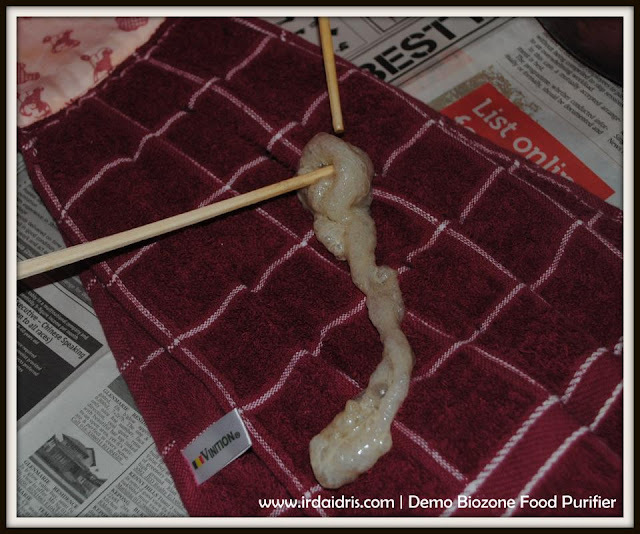 If you wipe the 'bubble' to a cloth, it will not 'popped'.. meaning it does not change form..
After burning the substance, it change to a sticky bubble gum like form. Still does not burnt or disintegrated after a while.. So guys, just imagine this 'bubble gum' had been accumulating in our body since like forever. No wonder nowadays there are a lot of disease/health problems.. Change now and start purifying your food for the sake of our our health and also our children.. So, would you eat this fatty asid, antibiotics and other residue which cant be burnt nor disintegrated? 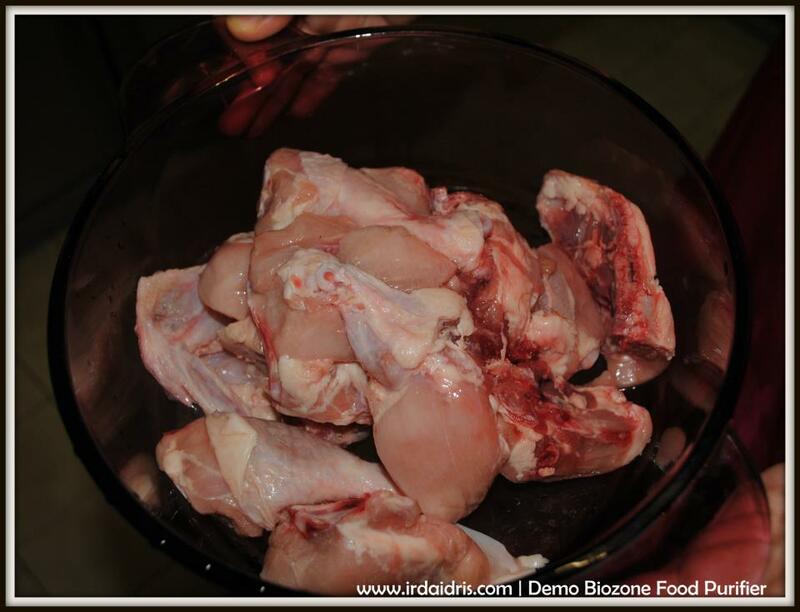 You are actually consuming it when you buy the chicken without purifying it properly! Euwwww!! 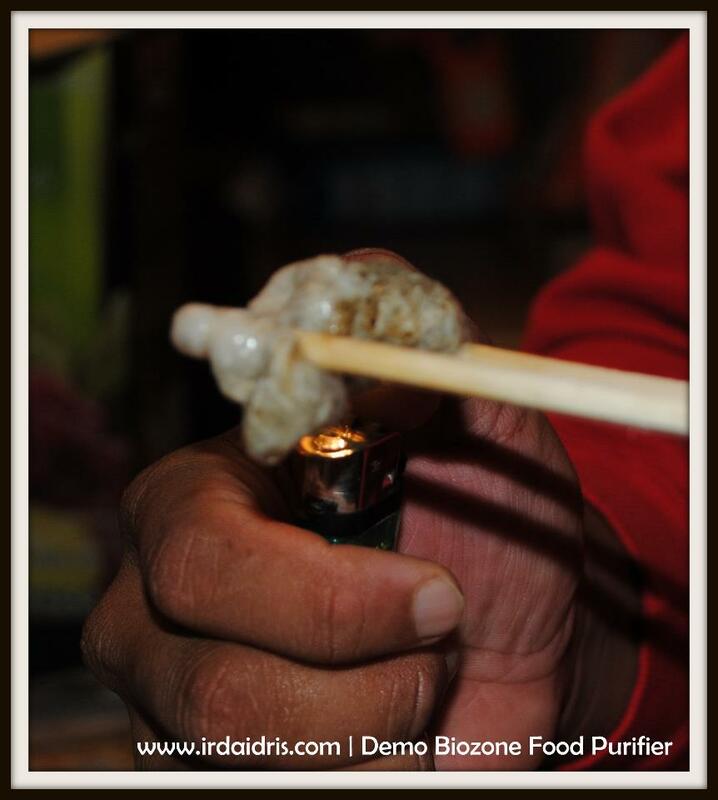 That's why we need to purify our food, ie chickens, meats, seafood, fruits and vegetables to remove all contaminants. 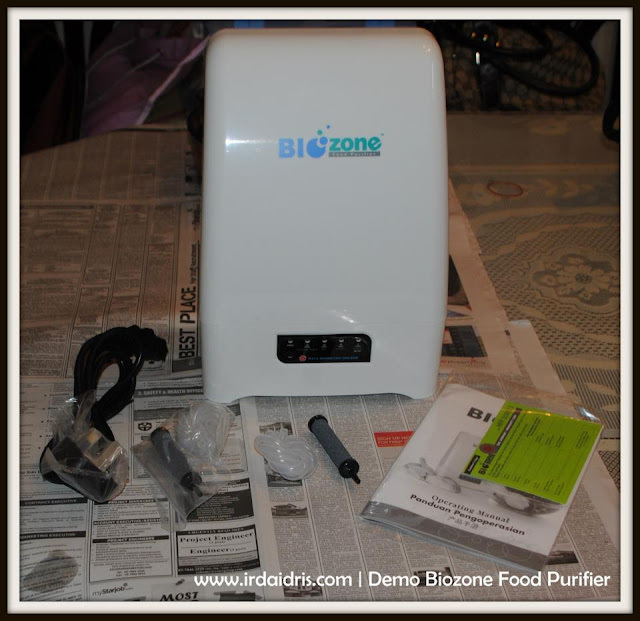 For that we HIGHLY RECOMMEND this Biozone Food Purifier.